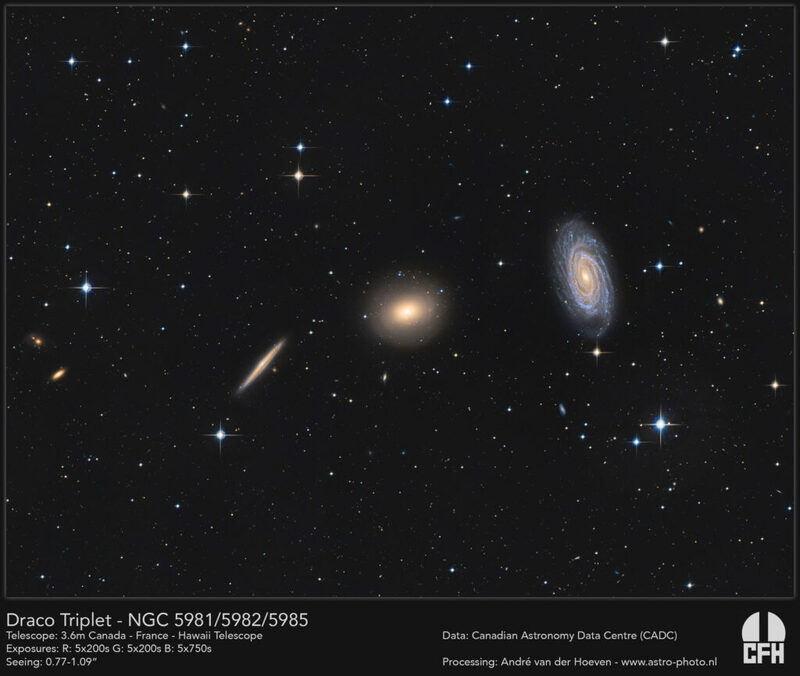 A few months ago I was crawling through the Canada-France-Hawaii Telescope (CFHT) data and found this very nice dataset of the Draco Triplet. I decided to download it for later use. Now I processed the data and this is the result of the processing. As far as I know this is the image of the Draco Triplet with the highest detail ever shown (at least I couldn’t find any imagery with more resolution). Altogether that is 1.6 hours of exposure taken with the Megaprime cam. Dataprocessing of this data is quite difficult because the camera consists of 36 CCD’s that all have different behavior and gaps in between them. To get a good image all gradients have to be taken out which shows to be quite hard.